'''Need For Speed: World''', formerly known as '''Need For Speed: World Online''', is the 15<small>th</small> instalment in the long-running [[Need for Speed|Need For Speed]] series of racing games, co-developed by EA Black Box and EA Singapore, and published by [[Electronic Arts]]. World is a free-to-play MMORG (Massive Multiplayer Online Racing Game), the first MMORG in the [[Need for Speed|Need For Speed]] series (EA has stated that Motor City Online is not the predecessor of World). The game mixes the cities of Rockport ([[Need for Speed Most Wanted|Need For Speed: Most Wanted]]) and Palmont ([[Need for Speed Carbon|Need For Speed: Carbon]]) to create a single map where players can race against each other, enter in pursuits against the cops, or simply free roam. The gameplay is also very similar to the one found in Most Wanted and Carbon. World focuses on illegal street racing, performance and visual tuning, and police chases, while adding classic MMO elements to the mixture such as special abilities called powerups (which are listed [[Need For Speed World Powerups|here]]), a levelling system (up to level 60), and driver skills that can be bought and installed in each car. However, unlike Most Wanted and Carbon, World does not have any storyline or characters. The game engine used is the same, albeit with many modifications, including new light effects for day-and-night cycle, sharper textures and shadows, more detailed car models, and other improvements. The cities were also changed to match the new graphics, and new roads were created to connect both Rockport and Palmont. 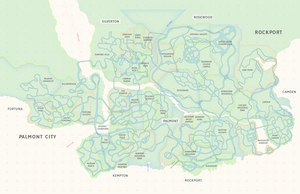 The map has been gradually expanded over time, and there is a rumour that Tri-City, where [[Need for Speed Undercover|Need For Speed: Undercover]] took place, will also become part of World in the future, along with the Canyons found in [[Need for Speed Carbon|Need For Speed: Carbon]]. However, none of this content was officially announced yet. On 16th October 2012, Drag was added as a new game mode. World is a free-to-play MMORG (Massive Multiplayer Online Racing Game), the first MMORG in the [[Need for Speed|Need For Speed]] series (EA has stated that Motor City Online is not the predecessor of World). The game mixes the cities of Rockport ([[Need for Speed Most Wanted|Need For Speed: Most Wanted]]) and Palmont ([[Need for Speed Carbon|Need For Speed: Carbon]]) to create a single map where players can race against each other, enter in pursuits against the cops, or simply free roam. The gameplay is also very similar to the one found in Most Wanted and Carbon, including the car's handling. 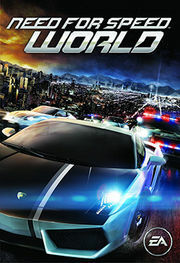 World focuses on street racing, performance and visual tuning, and police chases, while adding classic MMO elements to the mixture such as special abilities called Power-ups (which are listed [[Need For Speed World Powerups|here]]), a levelling system (up to level 60), Skill Mods that can be bought and installed in each car, and Achievements. However, unlike Most Wanted and Carbon, World does not have any storyline or characters. The game engine used is the same (EA Graphics Library 3 or EAGL), albeit with many modifications, including new light effects for day-and-night cycle, sharper textures and shadows, more detailed car models, and other improvements. The cities were also changed slightly to match the new graphics, and new roads were created to connect both Rockport and Palmont. The development for this game started prior to the release of Need For Speed: Carbon (2006). However, intense devotion to finish the product didn't begin until late 2008. The first beta test was held in Taiwan in October 2009, but only for residents of that area. On 5<small>th</small> February 2010 the first American/European closed beta was released for a limited number of players, and there have been five more betas since, with the number of players being increased each time. A stress test was also conducted to test the servers' capability to handle a lot of traffic. The game was finally released worldwide on 27<small>th</small> July 2010 via download. However, those who ordered the ''World Starter Pack'' had a head-start one week earlier (on 20<small>th</small> July 2010). The game ultimately received mixed reception, with a MetaCritic average of 62/100, and a GameRankings score of 63.83%. Since its release, Need For Speed: World has seen a continuous development, as the developers provide more content to the game every week, such as new cars and game modes, and a wide variety of fixes and improvements, as is normal with massive multiplayer online games. The development of this game started prior to the release of Need For Speed: Carbon (2006). However, intense devotion to finish the product didn't begin until late 2008. The first beta test was held in Taiwan in October 2009, but only for residents of that area. On 5<small>th</small> March 2010 the first American/European closed beta was released for a limited number of players, and there have been five more betas since, with the number of players being increased each time. A stress test was also conducted to test the servers' capability to handle a lot of traffic. The game was finally released worldwide on 27<small>th</small> July 2010 via download. However, those who ordered the ''World Starter Pack'' had a head-start one week earlier (on 20<small>th</small> July 2010). The game ultimately received mixed reception, with a MetaCritic average of 62/100, and a GameRankings score of 63.83%. Roughly 2 months after the initial game release, on 9<small>th</small> September 2010, World had reached 1 million registered players, and by December 2011 the number of registered players had reached 10 million. During the second anniversary of the game, in July 2012, it was revealed that the number of registered players had reached 17 million. Roughly 2 months after the initial game release, on 9<small>th</small> September 2010, World had reached 1 million registered players, and by December 2011 the number of registered players had reached 10 million. During the second anniversary of the game, in July 2012, it was revealed that the number of registered players had reach 17 million. Since its release, Need For Speed: World has seen a continuous development, as the developers provide more content to the game usually every 2 weeks, such as new cars, new game modes, new features, and a wide variety of bugs fixes and improvements, as is normal with massive multiplayer online games. The game offers the ability to start crews, and as such an official '''[[NFSUnlimited.net]] World Racing Crew''' exists. You can apply for it [http://forum.nfsunlimited.net/viewtopic.php?f=163&t=18635 at this topic in the forum]. Before 8<small>th</small September 2010, after reaching level 10 and having access to only Tier 1 and certain Tier 2 cars, the player would not be able to progress further in the game, and would cease to earn any more experience points or cash (but the player would still be able to play for an unlimited time). To continue levelling up and unlocking new cars and parts, the player had to purchase the ''Need For Speed World Starter Pack''. This initially disappointed many fans, so the game was made free-to-play and the level cap was removed on 8<small>th</small> September 2010, after World had reached 1 million registrations. To compensate those players who bought the Starter Pack before the level cap was removed, EA offered a 7-day car rental code for the Audi R8 4.2 FSI quattro, the BMW M3 E46 GTR, and the Lamborghini Gallardo LP 560-4. Before 8<small>th</small> September 2010, after reaching level 10 and having access to only Tier 1 and certain Tier 2 cars, the player would not be able to progress further in the game, and would cease to earn any more experience points or cash (but the player would still be able to play for an unlimited time). To continue levelling up and unlocking new cars and parts, the player had to purchase the ''Need For Speed: World Starter Pack''. This initially disappointed many fans, so the game was made free-to-play and the level cap was removed on 8<small>th</small> September 2010, after World had reached 1 million registrations. To compensate those players who bought the Starter Pack before the level cap was removed, EA offered a 7-day car rental code for the Audi R8 4.2 FSI quattro, the BMW M3 (E46) GTR, and the Lamborghini Gallardo LP 560-4. Need For Speed: World, formerly known as Need For Speed: World Online, is the 15th instalment in the long-running Need For Speed series of racing games, co-developed by EA Black Box and EA Singapore, and published by Electronic Arts. World is a free-to-play MMORG (Massive Multiplayer Online Racing Game), the first MMORG in the Need For Speed series (EA has stated that Motor City Online is not the predecessor of World). The game mixes the cities of Rockport (Need For Speed: Most Wanted) and Palmont (Need For Speed: Carbon) to create a single map where players can race against each other, enter in pursuits against the cops, or simply free roam. The gameplay is also very similar to the one found in Most Wanted and Carbon, including the car's handling. 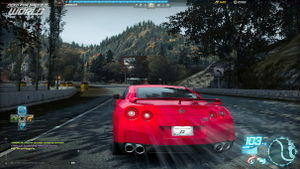 World focuses on street racing, performance and visual tuning, and police chases, while adding classic MMO elements to the mixture such as special abilities called Power-ups (which are listed here), a levelling system (up to level 60), Skill Mods that can be bought and installed in each car, and Achievements. However, unlike Most Wanted and Carbon, World does not have any storyline or characters. The game engine used is the same (EA Graphics Library 3 or EAGL), albeit with many modifications, including new light effects for day-and-night cycle, sharper textures and shadows, more detailed car models, and other improvements. The cities were also changed slightly to match the new graphics, and new roads were created to connect both Rockport and Palmont. The development of this game started prior to the release of Need For Speed: Carbon (2006). However, intense devotion to finish the product didn't begin until late 2008. The first beta test was held in Taiwan in October 2009, but only for residents of that area. On 5th March 2010 the first American/European closed beta was released for a limited number of players, and there have been five more betas since, with the number of players being increased each time. A stress test was also conducted to test the servers' capability to handle a lot of traffic. The game was finally released worldwide on 27th July 2010 via download. However, those who ordered the World Starter Pack had a head-start one week earlier (on 20th July 2010). The game ultimately received mixed reception, with a MetaCritic average of 62/100, and a GameRankings score of 63.83%. Roughly 2 months after the initial game release, on 9th September 2010, World had reached 1 million registered players, and by December 2011 the number of registered players had reached 10 million. During the second anniversary of the game, in July 2012, it was revealed that the number of registered players had reached 17 million. The game offers the ability to start crews, and as such an official NFSUnlimited.net World Racing Crew exists. You can apply for it at this topic in the forum. Need for Speed World is the FREE to play online racing game where you decide how to play in a massively multiplayer world. Connect with friends or race against the world as you rise through the rankings. Race the very latest cars or relive classic NFS moments with the ever-expanding car list. Stamp your identity on the cars with an endless combination of paints and liveries. Before 8th September 2010, after reaching level 10 and having access to only Tier 1 and certain Tier 2 cars, the player would not be able to progress further in the game, and would cease to earn any more experience points or cash (but the player would still be able to play for an unlimited time). To continue levelling up and unlocking new cars and parts, the player had to purchase the Need For Speed: World Starter Pack. This initially disappointed many fans, so the game was made free-to-play and the level cap was removed on 8th September 2010, after World had reached 1 million registrations. To compensate those players who bought the Starter Pack before the level cap was removed, EA offered a 7-day car rental code for the Audi R8 4.2 FSI quattro, the BMW M3 (E46) GTR, and the Lamborghini Gallardo LP 560-4. This page was last modified on 2 June 2013, at 15:53. This page has been accessed 553,053 times.